No matter how you slice it, weddings are expensive. But we’re here to assure you, you can find a dream gown well within your budget. Mermaid, ball gown, lace, satin—they’re all covered. Here are a few of our favorite retailers and shopping tips, so you can look like a million bucks on your big day for way (way, way) less. This retailer isn’t typically known for budget fashion, but if you check back regularly to do a little digging through the sale section, you’ll run into some gorgeous finds like this one, for an insane price. Now, this one comes with a disclaimer. Nordstrom’s “Wedding Suite” isn’t the friendliest place for a bride on a budget. However, with a little creativity, you can find a gorgeous gown within your price range. Try searching for a white prom dress instead! We love this show-stopping gown that rings in under $350. 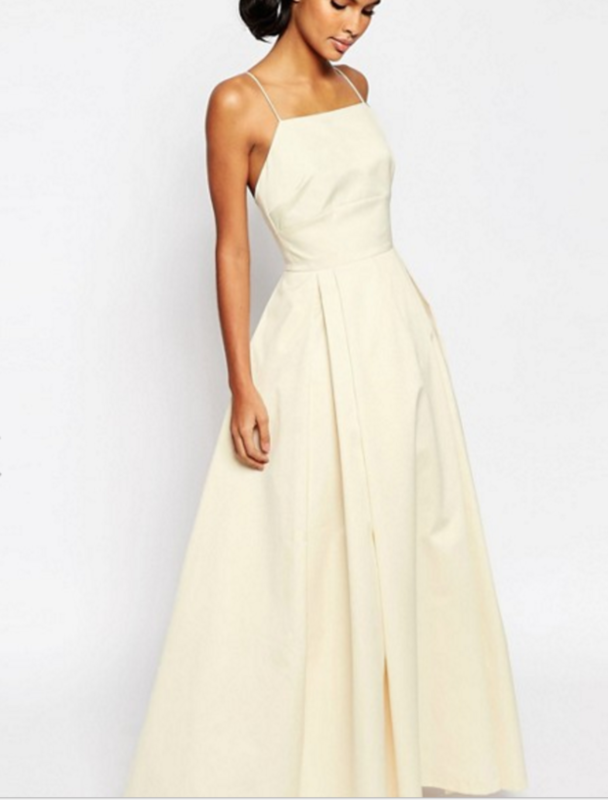 If you don’t mind passing on a “dress fitting” appointment, ASOS is for you! This UK-based online retailer offers tons of affordable dress options. Free shipping and free returns make finding the perfect dress a breeze. ASOS sells over 850 brands, including their very own bridal label. Jill Jill Stuart is an extension of the Jill Stuart brand. We’re big fans of this elegant, simple gown from the Holiday 2016 collection. Lulus.com is the perfect spot for brides on a budget. Lulus offers plenty of white dresses, many for under $100.